19 Blue has New Attractions! 19 Blue is enjoying a wonderful summer season. 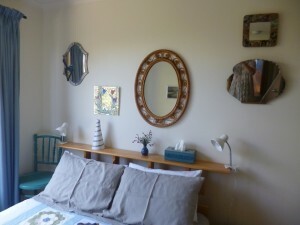 We have some vacancy at the moment so why not book your stay at lovely 19 Blue? We have some new things to show off: a quirky mirror collection in the bedroom and Holiday Gifts to buy to take home. Also we have splashed out on some lovely French linen sheets from Bedloves – apparently beautiful to sleep in – come and try!! 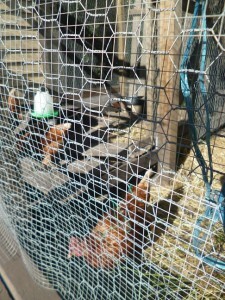 Oh, and did I mention we have new chooks? The Alices Two can now provide guests with lovely fresh eggs. We have 6 Hylines – they are so friendly and lay us 5 or 6 eggs every day – plenty to share.